This may seem confusing to some, but when a person during biblical times gave his own name to another, it meant that the two of them were joined together in close unity. Through the name of Jesus, we have access to the triune nature of God, the father, God, the son and God, the Holy Spirit. Not only do we have access, we have the authority. An example of this is when God gave His name to Israel. Evil men sought to kill Jeremiah because he prophesied in the name of the Lord and they knew his prophecy had God’s authority behind it. One of the greatest keys to spiritual power is the name of Jesus. We often fail in ministry because we depend on our own ability to deliver someone. It is not our name, position, or authority that carries the power. Our power is in the name of Jesus. We should remind ourselves and others daily that it is never about us nor any ‘good’ thing we may be doing. It is all because of the power and authority of God's spirit working within us. Being able to call on the name of Jesus; understanding the magnitude of the power in His name is awesome and magnificent to behold. I recall an incident several, several years ago. My family was en-route to Florida for our annual vacation. We were caravanning by car; 3 cars. The car I was in was in the rear. We watched as the middle car tried to move to the left lane to pass a car without realizing there was a car directly behind him in the left lane. When he realized it, he over-corrected; causing his car to careen out of control; fishtailing uncontrollably. Two of us in my car immediately began to call on the name of Jesus! We didn’t have time to get down on our knees or bow our heads or clasp our hands together and pray a great prayer. All we said was ‘J E S U S’! You could see lanes opening up as cars moved to give him room. He was able to get his car corrected and we made it safely to Florida. You know we talked about it when we got there; my sister who was in that car said, ‘you know we were calling on Jesus!’ Automatic, no thought, when in trouble, call on the name of Jesus because He is a present help! It is so imperative that we know what the word of God says! Your faith in the name of Jesus can be increased by hearing and reading what the Word of God says about His name. Through the Word you can understand the authority behind the name and biblical guidelines for proper use of Jesus' name. 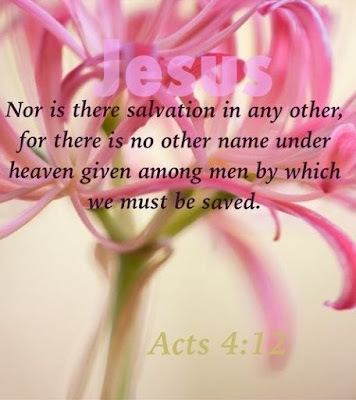 Two powerful ways the name of Jesus is used is for salvation and sanctification. The greatest power in the name of Jesus is the power of salvation from sin. It is only through His name that salvation comes. Previously, these Corinthians lived in these sinful practices. Now they could live a holy life through sanctification which came through the name of Jesus and the power of God's Holy Spirit. The beauty of the name of Jesus is that it has no operating hours. You can have access to the name of Jesus at any time of the day or night! You can call on Him in your times of distress and you can call on Him just to say thank you. 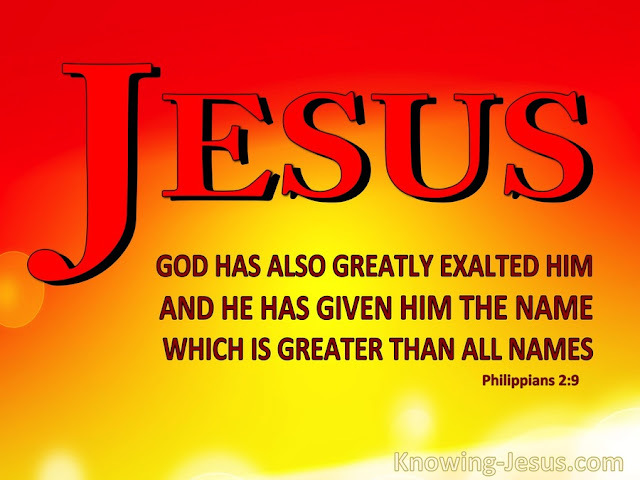 Praise God for the Name of Jesus!